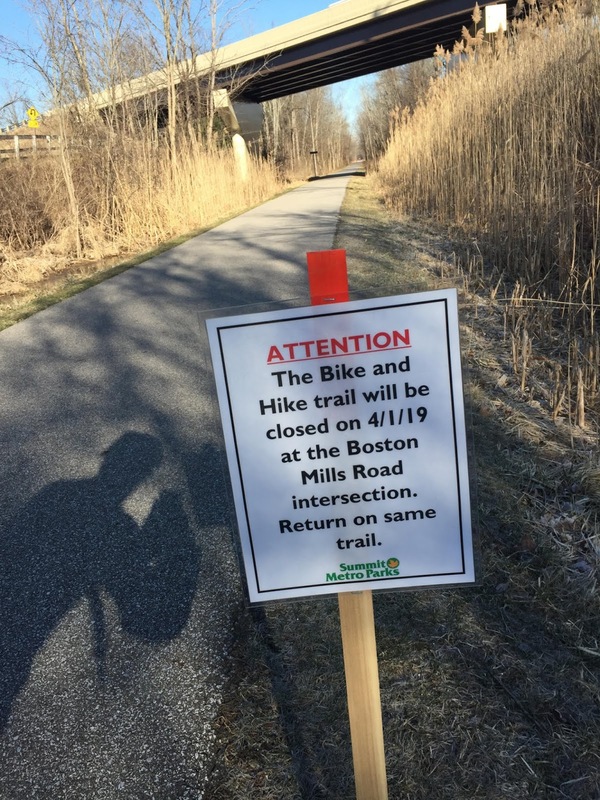 ALERT: The Summit Metro Parks Bike & Hike Trail will be CLOSED at the intersection of Boston Mills Road for one day only, Monday, April 1, 2019. The road itself will also be closed at this location. There will be no access to the trail north or south from Boston Mills Road.